In astrology, Mars is considered as commander. Mars gives power, security and courage. Mars strengthen the person in every way. Mars give happiness as well as problem in life. Mars is the planet of fire. Explosion situation occurs due to weak Mars. The combination of Mars and Rahu creates Angarak yoga. It creates accidents, surgery and blood disorders. It also affects domestic life. In this case, one should do fast on Tuesday. Worship lord Karikeya on Tuesday. Mangal dosh occurs when Mars is in lagan, fourth, seventh, eighth or twelfth house. Relations become very sensitive. Therefore, it is advisable to match the horoscope. Mangal dosh creates problem in marital life and relations. In these cases, offer chola to lord Hanuman on every Tuesday. Mars is exalted in Cancer sign. It decreases self-confidence, blood and courage. In these cases, one should wear copper. Eat jaggery and chili. Shani is air and Mars is fire. Situation becomes burst when they meet. It creates war, air accident or terror attack. In these cases, one should bow parents. Also, chant Sundarkand on Tuesday and Saturday. One should wear red coral to pacify aggressive Mars. One should wear white coral if protective Mars is weak. One can wear orange coral to strengthen protective and aggressive Mars. Drink water in copper glass. You can also wear red color thread or Rakshasutra. Donate gold, copper, lentil or red color clothes to needy person. Chant “Om Angarakaye Vidmahe Shakti Hastaya Dhimahi Tanno Bhaumah Prachodayat”. Keep fast on Tuesday and feed any hungry person. Take care of your siblings. You can also gift special things to them on Tuesday. Take care of your nature. Change your food habits. One can strengthen weak Mars by having hot and fresh food. It also improves digestive system and mood. You can get special benefits by worshipping lord Hanuman. In astrology, Mars is the planet of conflicts, logic and turbulence. Mars is responsible for every conflicts and litigation. One can do crime and go in prison due to weak Mars. If Shani is weak along with Mars then one faces his life in prison. 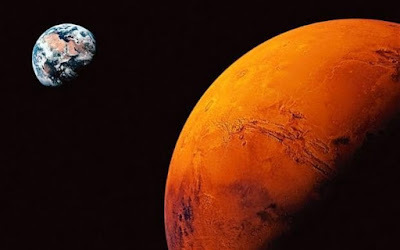 One faces false litigation due to conjunction of Rahu-Mars. Person can be saved if Mars and Jupiter are in center and strong. Offer water, mixing rolli, to the Sun every morning. Chant “Durgam Kaaj Jagat Ke Jete, Sugam Anugrah Tum Re Tete” for three rosary. Feed jaggery and chapatti to cow on Tuesday. One should go to Hanuman temple on every Tuesday. Offer red flower necklace. You can also offer red flower. Chant Hanuman Chalisa. Donate halva puri in temple.